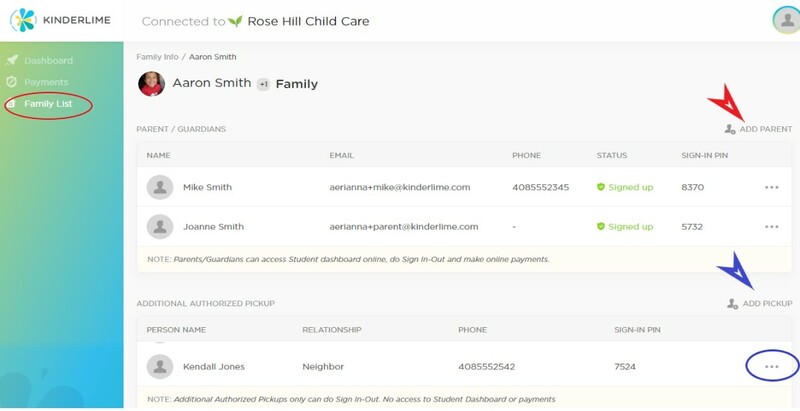 You can add Parents and Authorized Pickups to your child's account. Each carer will be issued their own unique four digit pin giving them access to drop off or pick up your child from the school/center. Anyone you add as an Authorized Pickup will be assigned a pin to drop off and pick up your child. This person will have no access to the child's account. You can add carers in the app or on the website. If you do not see this option the school may have this setting disabled. 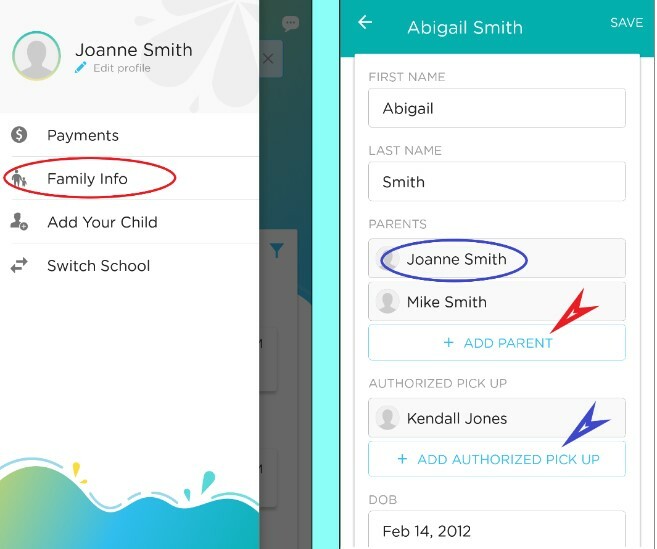 If this is the case, you will need to call your school/center to add pickups to your child's account. Choose option to "Delete Parent/Carer"